The documentary was screened on campus followed by a Q&A panel with the director and crew. Local filmmakers Sterlin Harjo, Shane Brown and Kyle Bell visited the TU film department for a screening of their documentary “This May be the Last Time” about Muscogee-Creek hymns in Oklahoma. After watching the film, the guests answered questions and discussed their work and its implications. 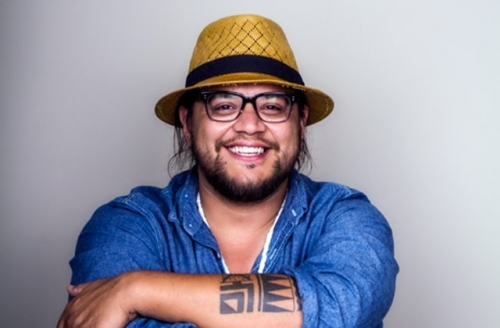 Sterlin Harjo is a Seminole filmmaker and director of “This May be the Last Time,” a film based on the story of his grandfather. Harjo has shown the movie at Sundance Film Festival and received a fellowship for filmmaking from the Sundance Institute. Harjo also formed a popular Five Nation American Indian comedy group called the 1491s and the film production company Fire Thief Productions. Shane Brown is a photographer who worked on the cinematography for “This May be the Last Time.” Brown started as a still-life photographer and developed a strength in composition that he has been able to apply to cinematography. He was in charge of shooting natural and serene scenes that set a peaceful and mellow tone for the film. “This May be the Last Time” centers on the role that Muscogee-Creek hymns play in the spiritual and cultural expression of American Indian people today. In various interviews, the people sang their songs and told Harjo why they were meaningful. Wotko, an American Indian man heavily featured in the film, talked about how these were the songs that his father always sang in church and taught to Wotko. Although his father has passed away, Wotko sings these songs to feel connected to his father and community and believes they bring him good luck. Harjo grew up in Holdenville, Oklahoma where “This May be the Last Time” was filmed. He narrated a part of the film, saying, “Our histories are not written, they are told through songs.” These are the songs that people sang to keep hope while walking along the Trail of Tears. They encompass a history of destruction of American Indian culture, but they also demonstrate the strength of it. American Indians were able to reshape and reinvent Christianity to maintain cultural individuality. Rather than singing about the gospel in English, they sing in their native languages with influences from traditional music. Hugh Foley, a music historian who lives in Holdenville and studied the Muscogee-Creek hymns, described why he thinks these songs are the “First American music” and should be taught in the canon of history. A Yale conference brought groups of people, including some from Holdenville, together because of the similarities in songs performed across the country. They had found that Scottish congregations, African American churches and Muscogee-Creeks all sang in the same way. After the songs were brought from the British Isles by colonists, it was taught to and adapted by both African slaves and American Indians. Because of this, the final product represents the first kind of music that is a product of the three major cultural groups of the young country.